Most incoming students have a BA in engineering, business, computer science, math, or information technology. Information on the admissions process can be found here, while specific information on application materials can be found here. 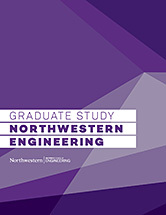 Below are frequently asked questions about admissions for the Master of Science in Analytics program at Northwestern University. How do I apply to the Master of Science in Analytics program? The application for admission into the Class of 2020 opens September 1, 2018. Detailed information on application materials can be found on the Application Materials page. In addition, the online application includes detailed instructions. Applications submitted and completed by the Scholarship Priority Deadline are likely to receive the fullest consideration for scholarship funding as part of the application review process. Applications submitted and completed by the Regular Deadline will be considered for second-round scholarship funding, as available. Unfortunately, the admissions review committee is unable to update individuals on their admission decision outside of the online application system. To view your decision status, please see instructions in the online application. All candidates who have submitted and completed an application will receive notification once the admission decisions have been announced. Is admission to the Master of Science in Analytics rolling? We do not evaluate applications on a rolling admissions basis. The application for each cohort opens September 1st and closes on January 15th. The admissions review committee will evaluate each candidate and notify applicants of their decisions no later than mid-March. Is the GRE or GMAT required to apply to the MSiA program? The Master of Science in Analytics accepts either GRE or GMAT scores. Preference is not given to one exam over the other. Via the online application system, candidates are required to submit an electronic copy of unofficial GRE or GMAT exam score reports. The Master of Science in Analytics program does not offer GRE or GMAT waivers. All applicants must submit GRE or GMAT scores. What is the average GRE/GMAT score for students admitted to MSiA? MSiA does not have a GRE or GMAT score requirement. Historically, promising candidates have typically ranked high in both verbal and quantitative reasoning. This being said, the admissions review committee assesses each application holistically, taking into account all materials including transcripts, letters of recommendation, the personal statement, as well as the GRE or GMAT score report. What is the ETS code for the GRE or gmat? If you have already submitted your GRE or GMAT score via the online application system, you do not need to send an official score report during the application process. However, if you choose to send official scores as well, please use the ETS code 3672 for the GRE; for the GMAT, use the code 6WZTL36. If you submit your score using the "Northwestern University" code, we will not receive your score at our office. Are TOEFL/IELTS scores required upon applying to MSiA? MSiA requires TOEFL or IELTS scores for international applicants who have not had English as their primary language of instruction (we require proof of instruction in English from international universities). Our Institutional code for TOEFL is 3144 and our minimum score considered is 95 for TOEFL; for the IELTS, 7.5.
International candidates who currently or will hold a degree from an institution where English is the primary language of instruction, do not need to submit a TOEFL or IELTS score report. Do I need to demonstrate English Proficiency? International candidates who will not or do not hold a degree from an institution where English is the primary language of instruction must submit TOEFL or IELTS score reports. I am an international student who attended a 3-year university. Will my 3-year undergraduate degree be accepted? Yes. We understand that many international universities operate on a 3-year educational timeline, and we will accept 3-year bachelor's degrees from any accredited institution. Is MSiA considered a STEM program? Students entering the program are not required to have a mastery of all the systems used during the program prior to their arrival. The program hosts a 2-week bootcamp and orientation to help build a foundation for the systems used during the 15-month curriculum. Candidates applying for admission do not need to have formal training in any programming languages, however, our most successful applicants have demonstrated aptituted for programming and statistical tools. Can I Apply to the MSiA Program If I Don't Have a Degree in Data Science? We consider applicants from a wide range of academic disciplines and interests; applicants from all backgrounds are encouraged to apply. Please note that candidates are expected to have a strong quantitative and IT background before entering the program. Can I apply for Spring enrollment in MSiA? Our 15-month curriculum begins each fall and spans 5 academic quarters: Fall, Winter, Spring, Summer (required internship, no courses, no tuition), and a second Fall quarter. Because of our set curriculum and cohort-style enrollment, our program enrolls students each Fall quarter only. Does MSiA offer deferment or conditional enrollment? MSiA does not offer formal deferment or conditional enrollment. I have more questions about MSiA or about my application. Who do I contact? For any additional questions you have as a prospective student, please email MSiA. You may also call us during our office hours (Monday–Friday, 9 a.m.–4 p.m.) at 847-467-6750.